Geoffrey Boycott backed Kevin Pietersen to replace Michael Vaughan as one-day Captain of England. His prediction was wrong. 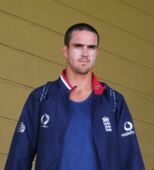 But one captain later, Kevin Pietersen was appointed to the job. Geoffrey Boycott backs Kevin Pietersen to replace Michael Vaughan as next captain of England’s one day cricket team. Most commentators are backing the steadier Paul Collingwood. Boycott was a brilliant opening bat, and now is a trenchant and insightful commentator. He was also arguably the worse cricket captain of England in modern times. What can we make of his judgement in this case? One stream of leadership research has drawn on the idea of the shadow self. It’s one of those interesting concepts which can be traced to Carl Gustav Jung. Projection is an unconscious psychological mechanism. We all project onto other people parts of ourselves that we disown, that we deny. We will usually not identify with the projected quality or characteristic at all. It’s them. It’s not us … Jung believed that whatever we are highly identified with in our character, the opposite extreme will be in our unconscious. He called this the law of opposites. So unconsciously we will attract the parts of us that we actually badly need. Boycott is known as a batting obsessive, dour, dogged, and with a style perhaps reflecting his dogged personality. So we might expect touches of the shadow side. A general loathing of more elegant and gifted colleagues, but sometimes wistfully emulating them. He has worked at a carefully cultivated and jaunty persona and dress for his numerous TV appearances. Now he appears to be backing Pietersen, which I suggest is a shadow-self character, as the new one-day cricket captain for England. Kevin Pietersen would undoubtedly play out Geoffrey’s shadow self as a cricketer. List some descriptors that would capture Petersen’s style and flamboyant, enthusiastic, bold-minded and big-hitting come to mind. He has been considered to have one characteristic shared with Boycott. He is not particularly noted as a team player. Collingwood rarely throws his wicket away, and it that sense is closer to Boycott than to Pietersen. Geoffrey’s judgement of the technicalities of batting is nearly matchless. He is also widely regarded as an excellent business-man. Which may be a clue to his advocacy of Pietersen. It may be that Geoffrey admires Kevin for exhibiting all the suppressed aspects of his own cricketing style. Or might there be something more mutually beneficial going on? Kevin’s website at present has the cover of his new book prominently displayed. With a glowing endorsement from, yes, you’ve guessed it, one Geoffrey Boycott. But the 31-year-old insisted the split captaincy – Vaughan will continue to lead the Test side – will work for England under the guidance of coach Peter Moores. You are currently browsing the archives for the Kevin Pietersen category.